Here is a little throw back to a super fun event in 2009 in Yokuska Japan at Kaneyo. Kaneyo is one of our favorite places to go each visit to Japan to eat great food, hear great music, relax on the beach, check out the fishermen and hang out with our good friend and Kaneyo owner Jon. It's that time of year again! Long studio days painting and creating new art for my upcoming Spring shows! My 2015 Japan Spring Tour dates and locations have been announced and here they are! My fall tour in Japan has been so much fun so far, Once we return I will post more pictures and stories from the events. 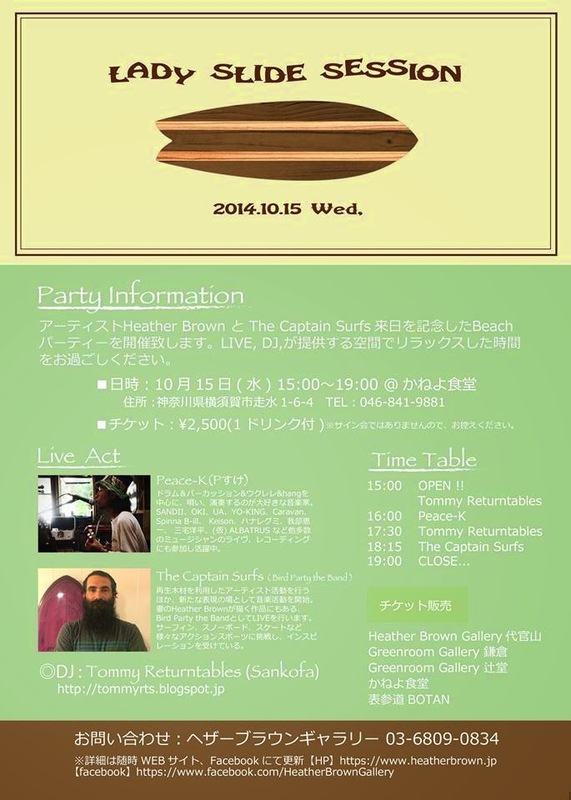 The Captain and I want to invite you to come to a very special event tomorrow night in Yokusaka Japan at our favorite spot, Kaneyo!